As in Antarctica, our purpose in Greenland is science – primarily climate research. 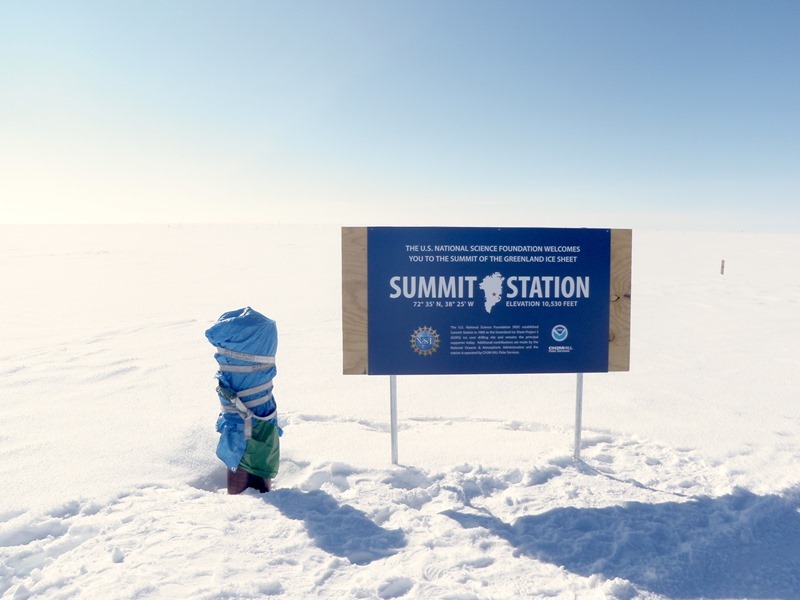 Summit Station was first established in 1989 to support the Greenland Ice Sheet Project Two (GISP2) ice core and has since become a leading arctic station supporting a wide variety of seasonal and long term projects. Summit was chosen for its location at the summit of the Greenland ice sheet. Some facts: There are two ice sheets on earth, one in Antarctica and one in Greenland, and as they are near the poles we call them ice caps. According to the National Snow and Ice Data Center (NSIDC – based in Denver) an ice sheet is defined as a “mass of glacial land ice extending more than 50,000 square kilometers (20,000 square miles).” Glaciated areas less than 20,000sq mi are called ice fields – such as the Patagonia ice field, or the Juneau ice field. Ice sheets and ice fields are incredibly important to climate research as they are not only highly sensitive to global temperature changes but provide a physical archive of the atmosphere going back as long as the ice has been there. The water molecules of the snow/ice itself contain isotopes that correlate to average global temperatures and between these molecules, bound by the ice, are tiny trapped air bubbles – discrete samples of atmospheric gases. This is one way scientists can measure carbon dioxide (CO2) levels over past millennia. 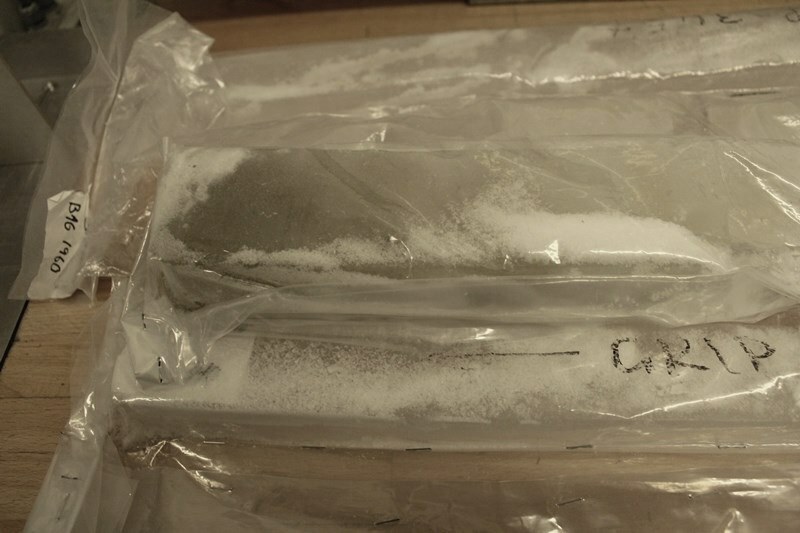 The Vostok ice core for example, provided data on the climate going back over 400,000 years. 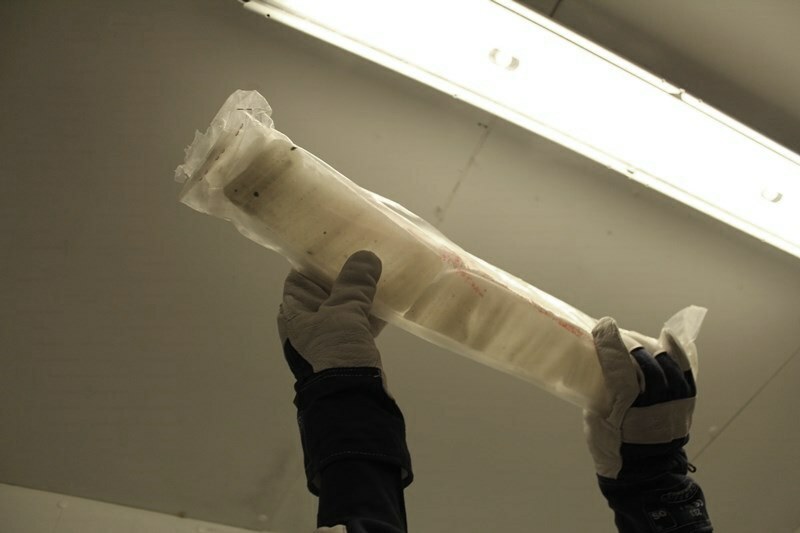 The European Project for Ice Coring in Antarctica (EPICA) ice core goes back 800,000 years. 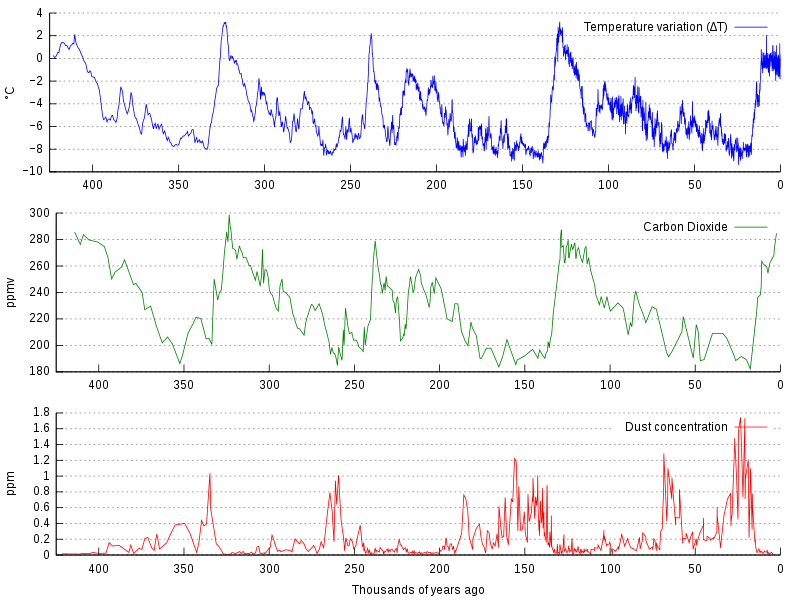 CO2 levels are of particular interest to climate scientists as there is a direct correlation between global temperature and CO2 in the atmosphere. Over the past 400,000 years CO2 levels in our atmosphere have fluctuated between 180-280ppm. Since the Industrial Revolution and large scale burning of fossil fuels those levels have continued to rise. Right now we are close to 400 ppm. (check out http://www.esrl.noaa.gov/gmd/ccgg/trends/ for recent levels) The US Environmental Protection Agency has a great website with information on greenhouse gasses and carbon dioxide, trends in the US, and ways to reduce emissions: http://www.epa.gov/climatechange/ghgemissions/gases/co2.html. The GISP2 borehole in 2011. A graph showing CO2 levels from an ice core (Vostok, Antarctica). Our current atmospheric CO2 levels are off this chart. 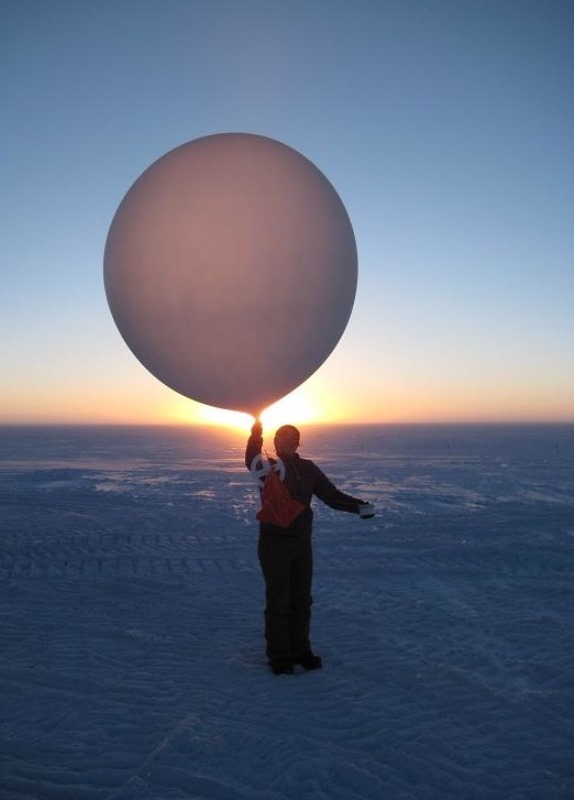 While the GISP2 ice core was completed over 20 years ago, Summit continues to provide valuable data. 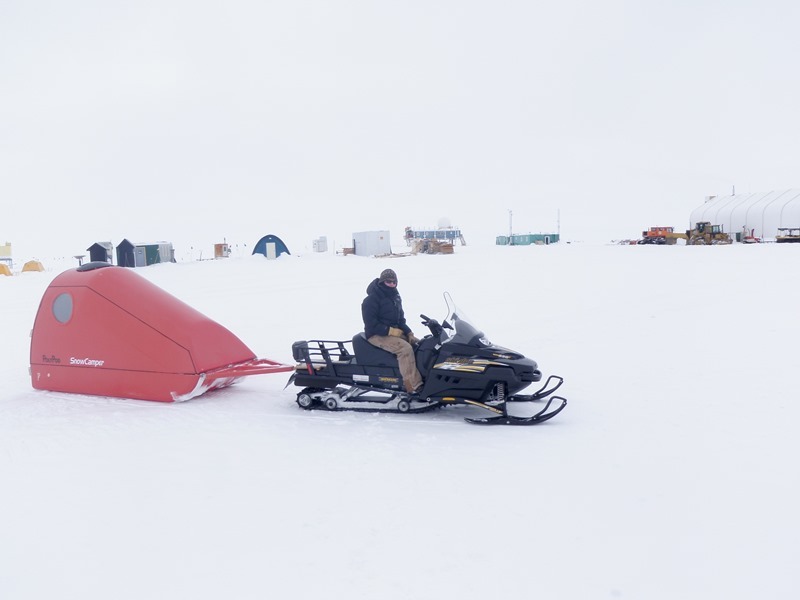 As one of NOAA’s Earth Systems Research Laboratories the Greenland Environmental Observatory (GEOSummit) provides long term monitoring of the Arctic environment and atmosphere. Much of climate research relies on these trends and long term variations to distinguish climate change from variable weather patterns. 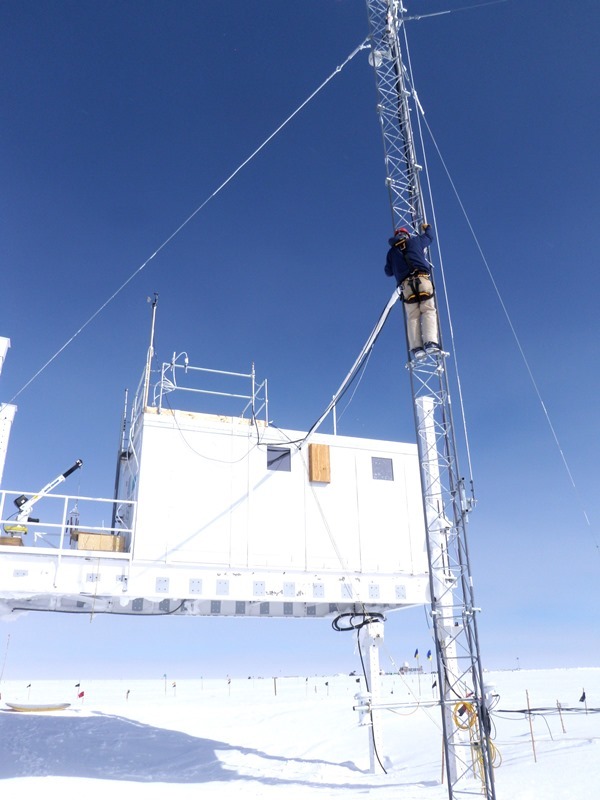 TAWO (Temporary Atmospheric Weather Observatory) houses a suite of instruments collecting continuous measurements of a number of greenhouse gasses including carbon dioxide, tropospheric ozone, and black carbon among others. 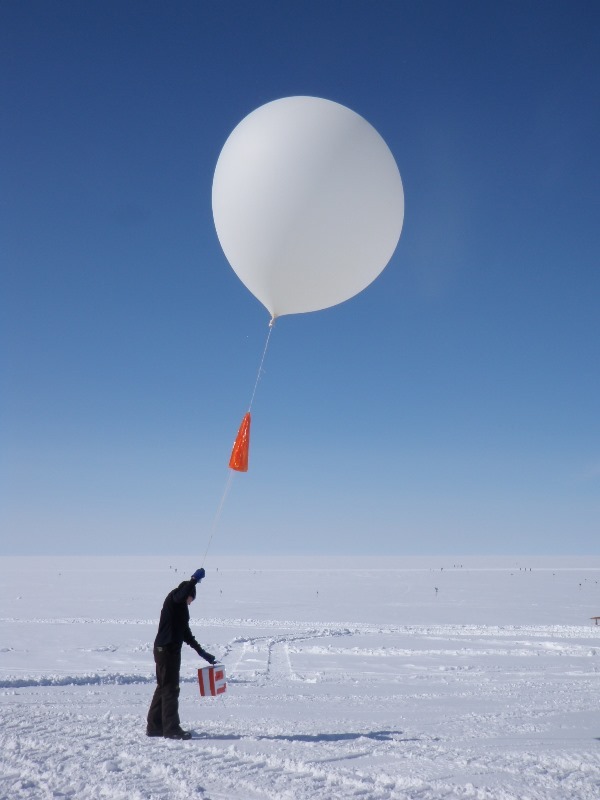 Summit’s science techs launch ozone sondes weekly to measure upper atmosphere ozone and collect air samples twice monthly to be processed for trace gases. Once a month the science techs complete a GPS survey (IceSAT) for CryoSat – providing calibration data for a European Space Agency satellite measuring ice thickness around the globe. 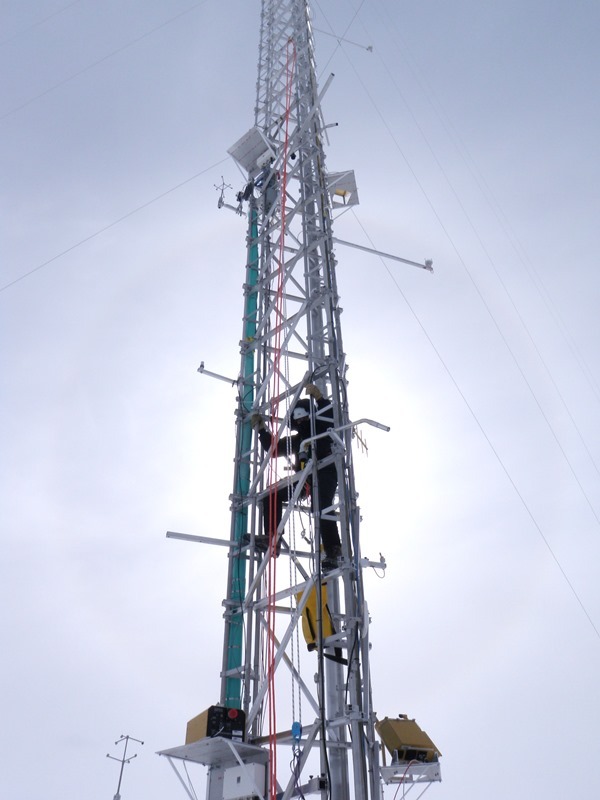 Some other long term projects here at Summit include: ICECAPS (Integrated Characterization of Energy, Clouds, Atmospheric state, and Precipitation at Summit) which is studying the atmosphere, clouds, and precipitation. Today a third station science tech position has been added to focus primarily on the ICECAPS instruments. BSI (Biospherical Instruments) is monitoring ultraviolet radiation. 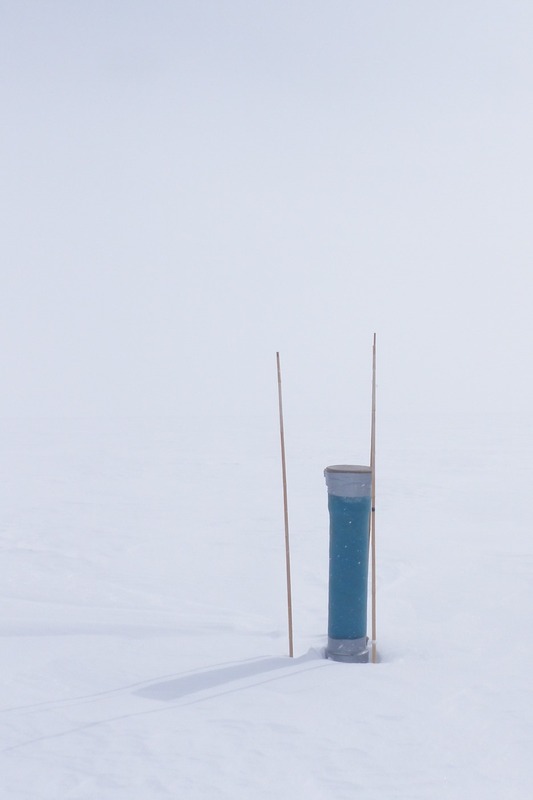 GEOFON has a seismometer buried away from camp as part of a global network. A magnetometer has also recently been installed to measure geomagnetic variations in central Greenland. 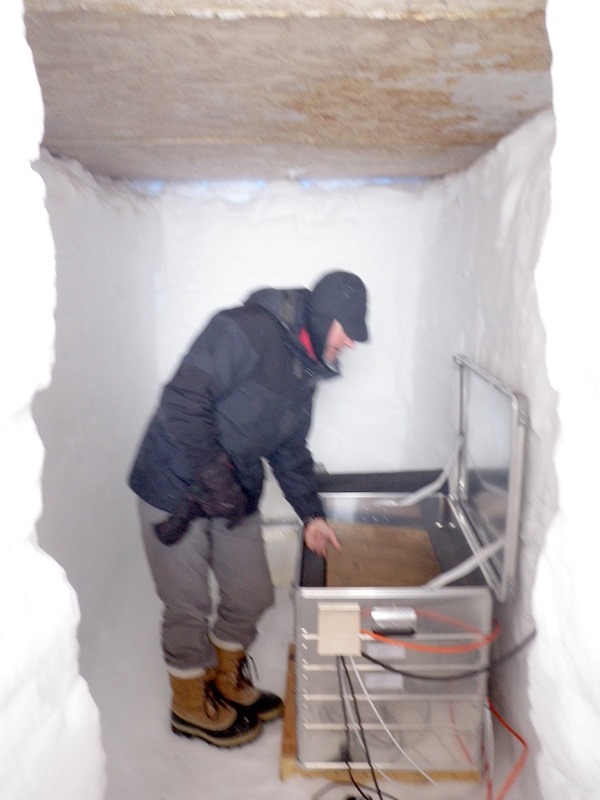 This season a new intermediate ice core drill was tested near Summit. 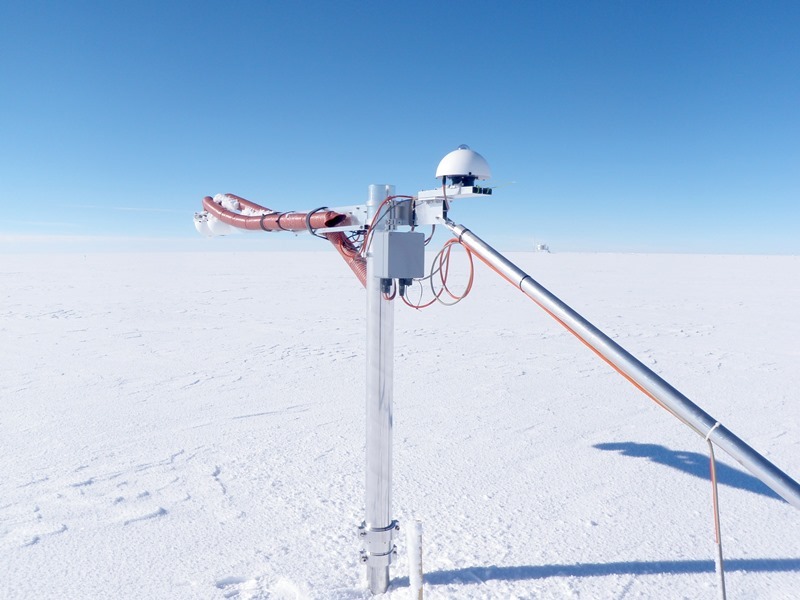 The proposed project will drill a 1,500m ice core at the South Pole Station in the 2014-15 and 2015-16 seasons. More information on this project can be found here and on the official SPICE Core site. The complete list of currently funded projects is publicly available on the Arctic Field Projects site. 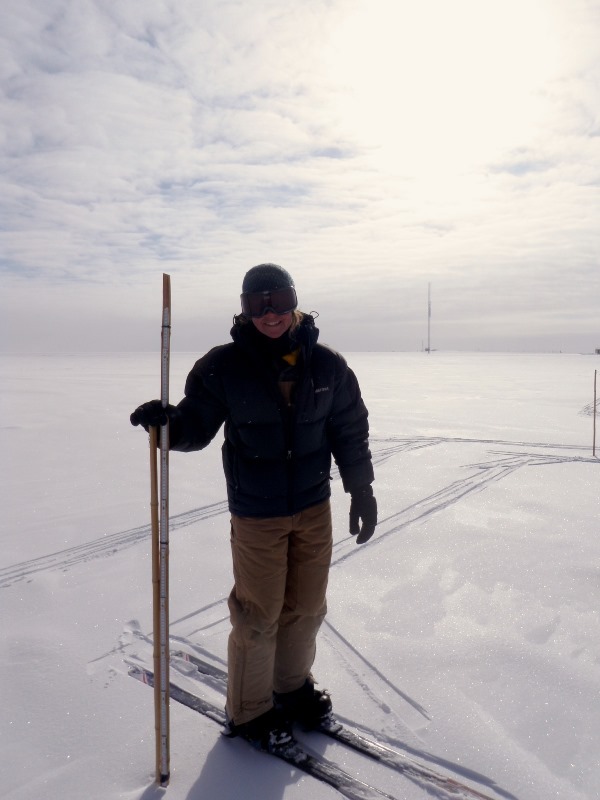 Bundled up for IceSAT – GPS equipment is in the red “Poly Pod” behind me, the survey takes several hours and is done once a month. 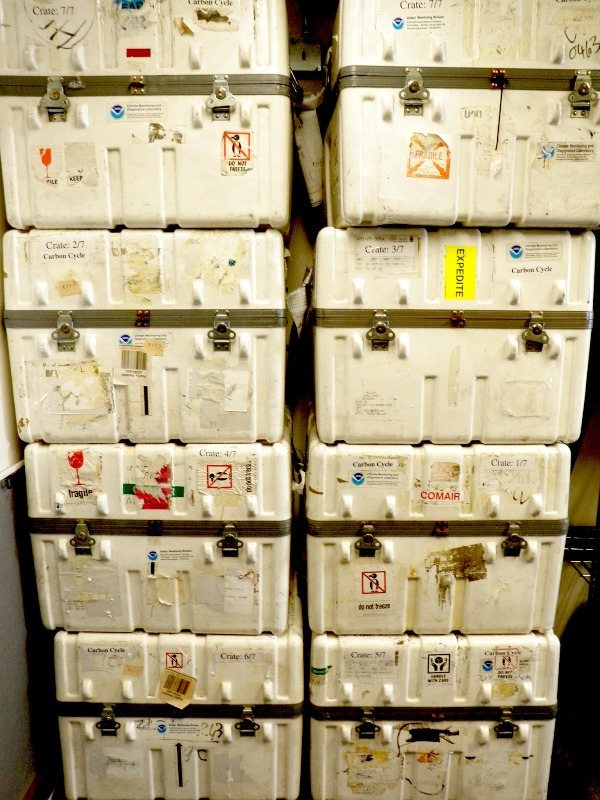 Crates of air sampling flasks! 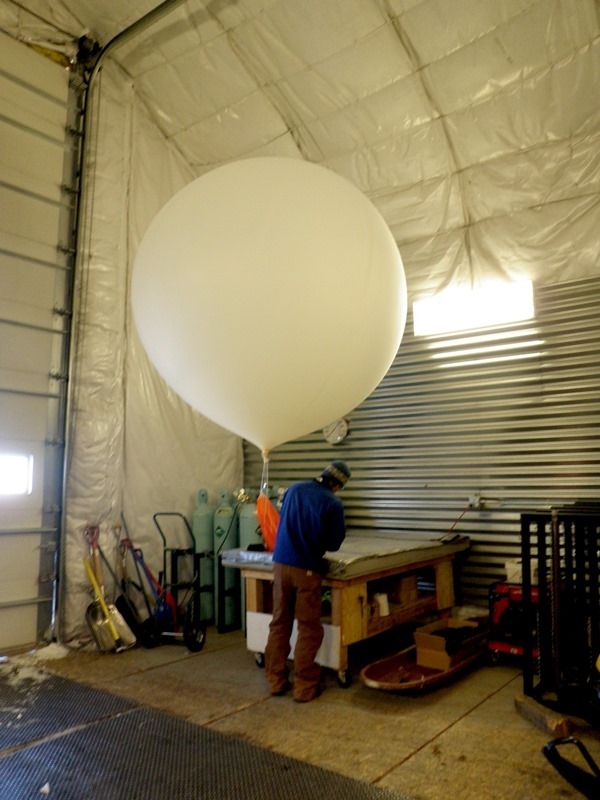 Inflating a balloon in the S.O.B.